All YCCS campuses will be closed Wednesday, January 30 and Thursday, January 31 due to extreme weather conditions. YCCS Administrative Offices will also be closed. YCCS has two extra days built into our academic calendar, so you will not need to make up the days unless you take more than two emergency days. Friday is a scheduled professional development day, so students will resume classes on Monday. According to the latest models from the NBC 5 Storm Team, the forecasted high temperature for Wednesday is negative-8 degrees. If that forecast holds, it would be the third-lowest high temperature ever recorded in the city of Chicago, and the lowest high temperature in the last 25 years. 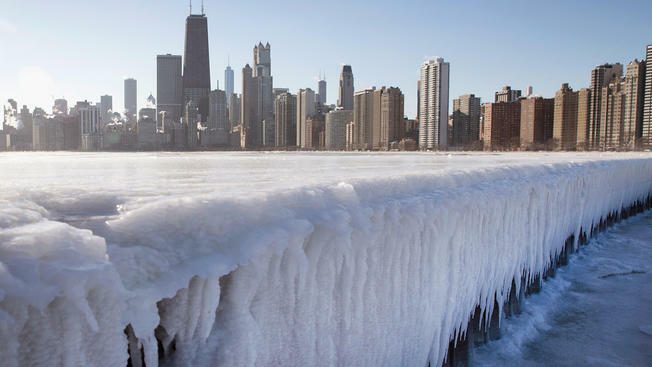 The coldest high temperature ever recorded in Chicago history came on Jan. 20, 1994, when the mercury topped out at a preposterous -11°. That temperature came in one of the coldest stretches in the city’s history, as the temperature remained below zero for several days in a row. The second-coldest day in Chicago history came on Jan. 25, 1950, when the mercury topped out at negative-10 degrees. If forecasts hold, Wednesday’s high temperature will obliterate the old record for January 30, which currently stands at three degrees above zero.